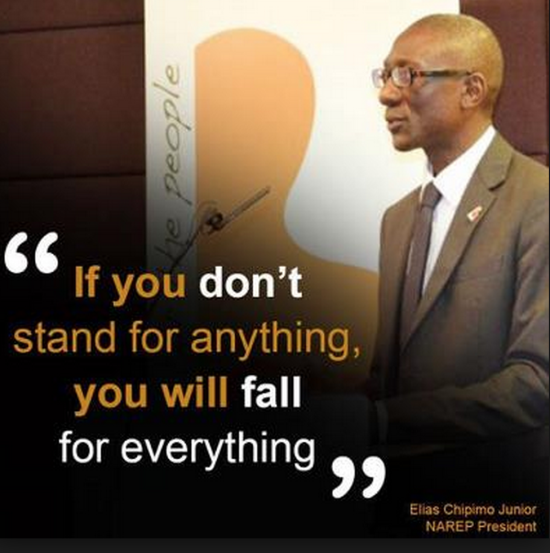 National Restoration party (NAREP) president Elias Chipimo Junior has ruled out the possibility of his party being part to an opposition alliance anytime soon. Chipimo has told QFM News in an interview that his party has considered a number of things in reaching at the decision not to be part of the opposition alliance being advocated for. He explained that the National Restoration party does not want to take the risk of failing to stand by its commitments with regards the alliance because certain issues are not ironed out. Mr Chipimo said going into an alliance without clarifying issues such as values and objectives of such an alliance will be a total disaster and disappointing to the majority of the Zambian people. He added that sharing the same values and having a clear roadmap is critical to having a strong opposition alliance. He said NAREP will instead focus on engaging with other stakeholders in moving the country to another level. Fr Frank Bwalya and Mike Mulongoti whatever his party is called were scheduled to hold a joint press briefing with Chipimo on the proposed alliance on Friday. It is not clear if they will still meet given Chipimo’ statement. The Watchdog has information that Chipimo believes that PF will be ‘cloned’ into NAREP.